Miss Dior Blooming Bouquet by Dior - Dior Miss Dior Blooming Bouquet fragrance. The caress of a sparkling floral. 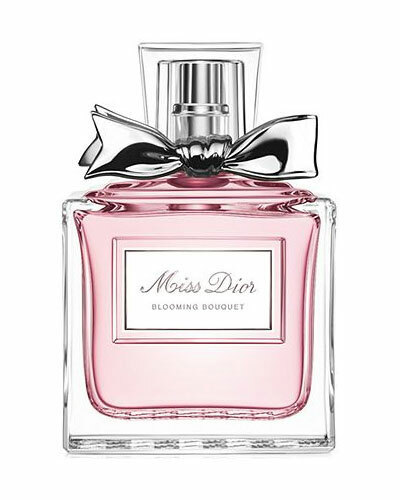 A new floral perfume for women inspired by the blooming scents of springtime. 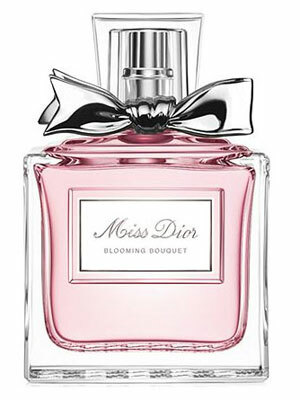 The latest flanker to Dior's original Miss Dior fragrance featuring notes of peony, mandarin, rose essence, and white musk. 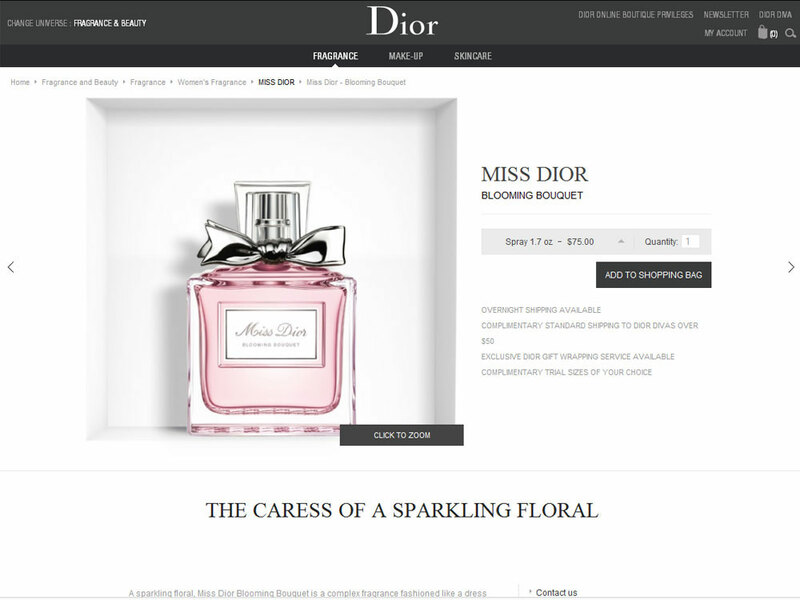 The perfume campaign ads feature actress Natalie Portman, while the perfume takes on a pink tone in the original Miss Dior bottle featuring a silver bow. 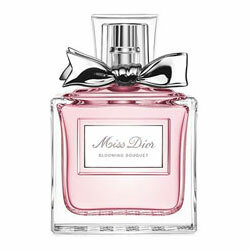 Package Design Original Miss Dior bottle with silver bow accent and pink juice. Why Jennifer Aniston never likes the "Rachel" cut ...and other startling beauty confessions from the actress and face of Living Proof. Macy's - Accesorize at Macy's!